1. Find somewhere to rest your head. For me it was a long term hostel where I bonded with other tenants over Thursday night TV and family dinners on a Sunday. The sunrise view was also pretty awesome. 2. Get a job. The city is quick to demand money from you. Luckily it’s keen to help you replenish it too and it’s easy enough to find work. 3. 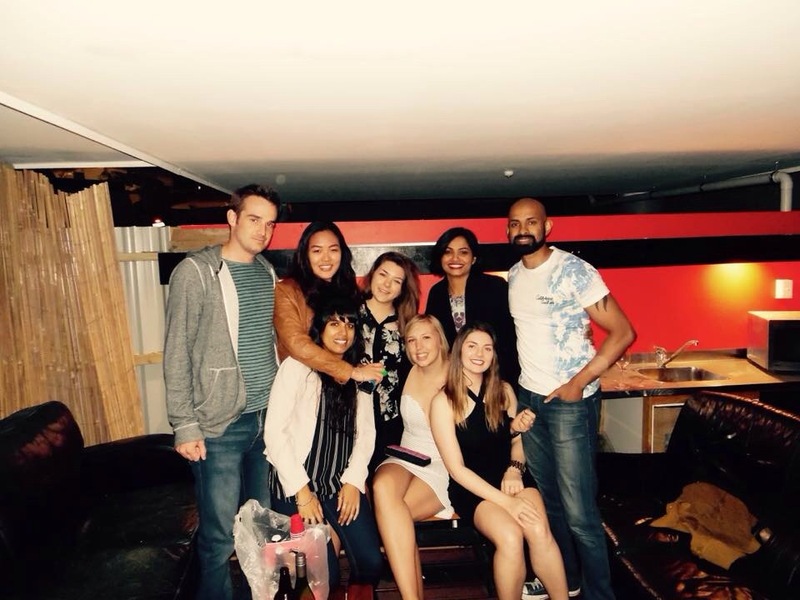 Get an awesome group of friends. I had to pay a large fee for ones as awesome as mine. I also had to agree to regularly ridicule their accents to keep them on their toes. 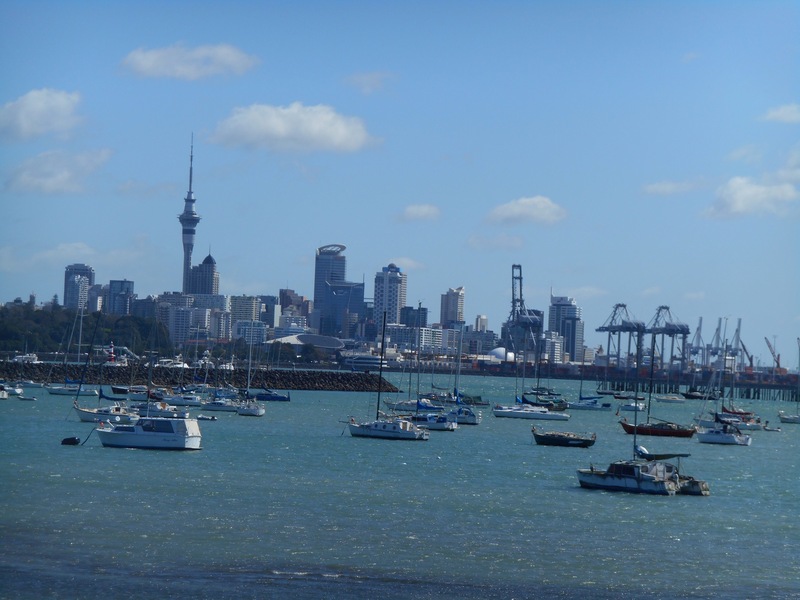 As winter turned to spring and my Auckland days became numbered, the aforementioned friends and I decided to tackle the undless virtual list. At first Auckland seemed a little dull. It’s centre is often lifeless and uneventful, however this is a city to pause a while, not one to pass through. Living and working in this city has given time to appreciate evening runs along the harbour and discovering hidden eateries which is of course what city life is all about. If it’s rumours won’t entice you in, the permanent queue until late at night will make you wonder what your missing out on. He ice cream flavours are equal parts inventive and delicious, only added to by the intense decoration process with crunchy bits afterwards. The whole thing is a performance from tasting to tactfully demolishing and is definitely an Auckland Highlight. 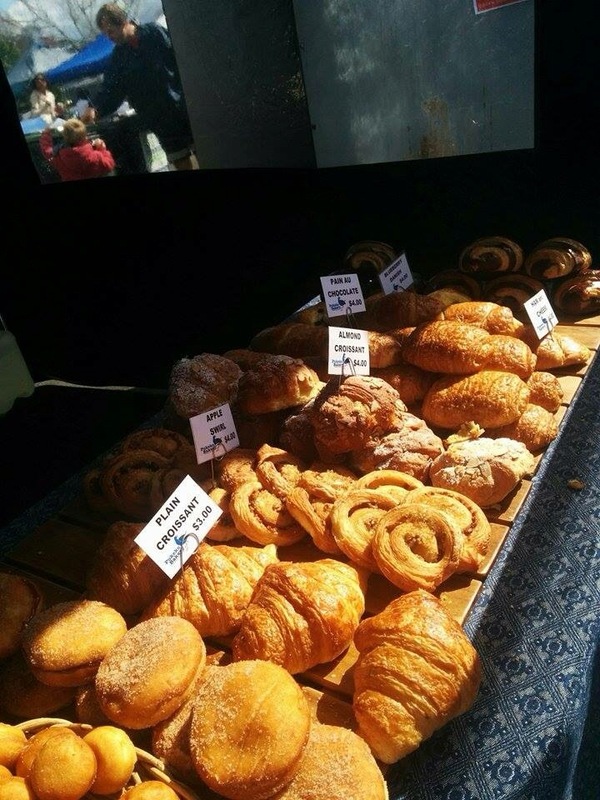 Because what else would you need to do in New Zealand but visit a French market? 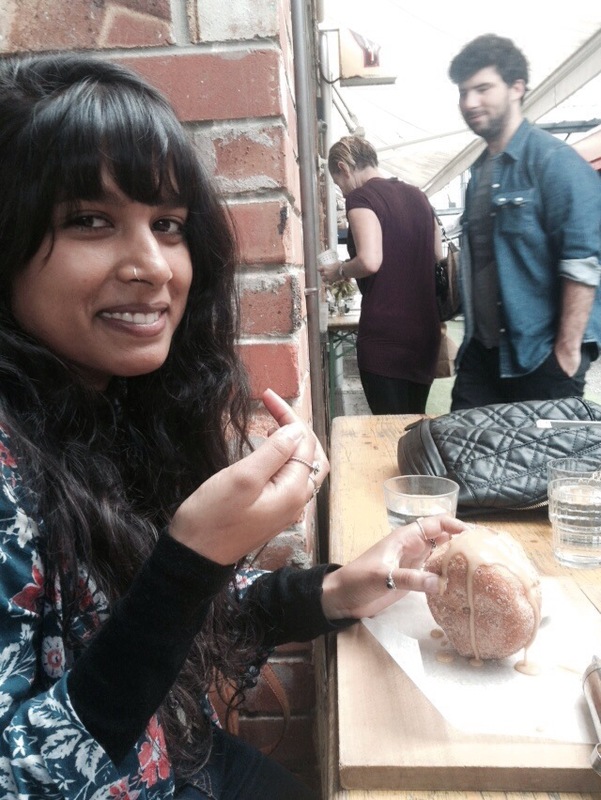 This quaint market in Auckland’s oldest suburb is a great way to spend a morning. Post-spin class we could embrace the brownies guilt free which made it even better! 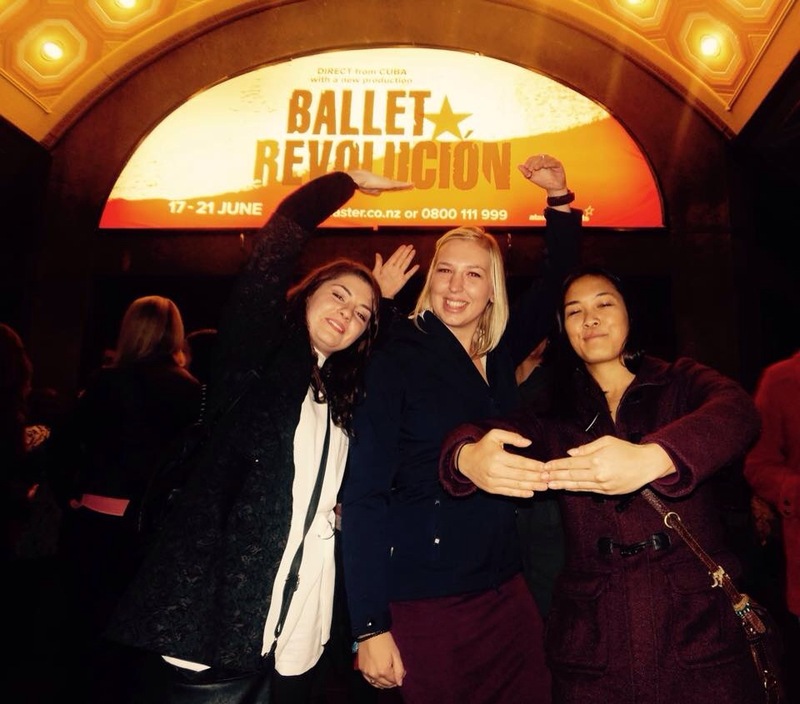 We watched Ballet Revolucion at Auckland’s Civic theatre and left inspired by the amazing mix of ballet and contemporary dancing. Despite our trying, I don’t think our pirouettes were fooling anyone. This was previously described to me as “a posh food court” which didn’t conjure a particularly ‘must do’ image, however this closed off, cobbled courtyard is surrounded by open fronted tapas, sushi, Indian Mediterranean and many more. Waiting to pounce on any sunny weekend day, Ricky, Alice and I boarded the ferry for Waiheke, 45 mins and a lifetime away from the city. We took our bikes to explore the beaches and winery’s of this millionaires playground and were left in under no illusion of the islands ability to wow and exhaust. Not really an Auckland thing but one Kylie and Michelle were keen to try. 8 of us headed west to Delta Force paintball. We puffed and panted through the forest shooting zombies and capturing flags and we have the welts and bruises to prove it. A fabulous birthday weekend spent at Omaha. 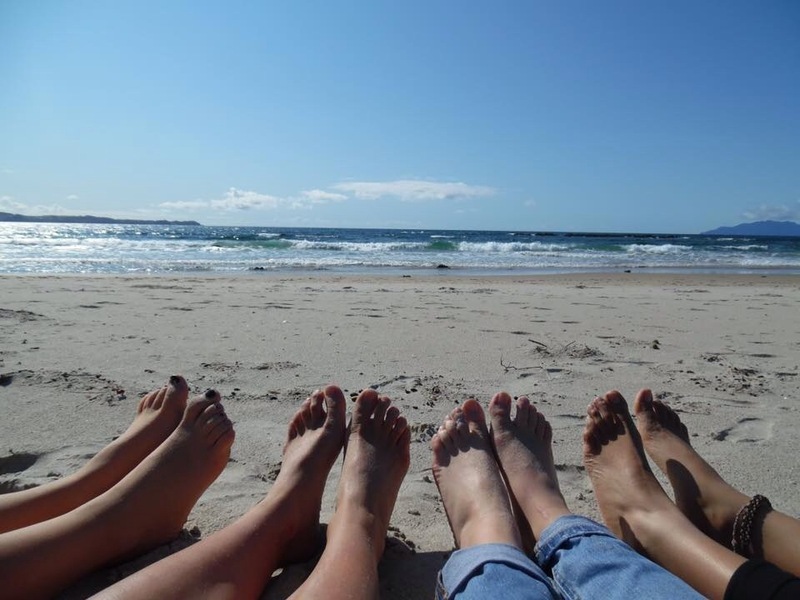 On the itinery, Matakanas quaint Saturday morning markets, a walk to the end of the earth, beach selfies which resulted in more laughs than model shots, a tense game of cluedo and of course, plenty of food. Feeling incredibly hipster we headed to Ponsonby Central. You have to force yourself to be hungry as there are so many goodies demanding your attention like ice cream cookie sandwiches and cakes as tall as your head. 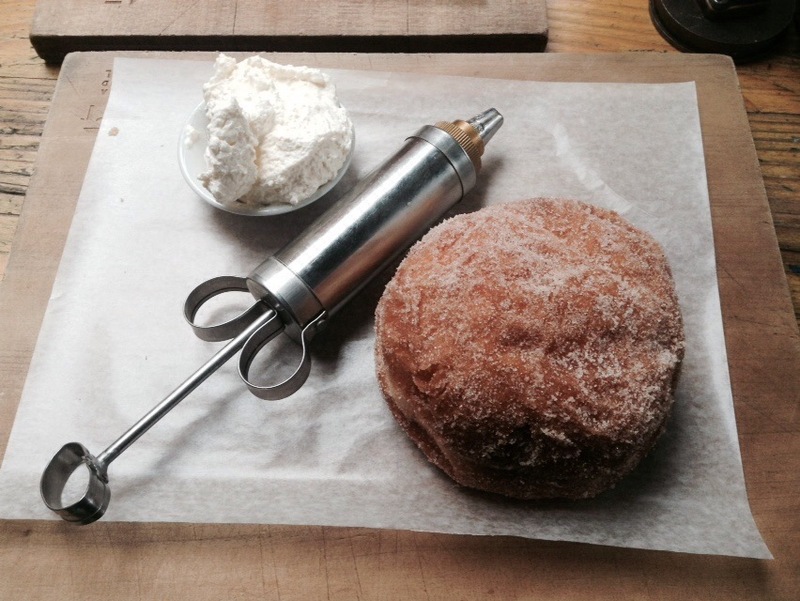 We knew what we were here for, the giant donuts with the syringe full of your choice of topping. They definitely didn’t disappoint. 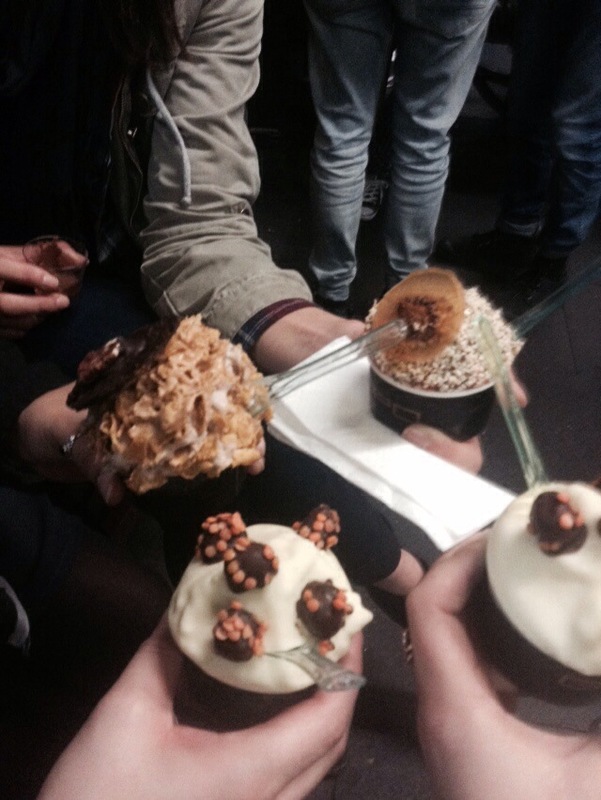 With salted caramel, chocolate, vanilla custard and berry purée to choose from, it was a sweet sweet food coma. West of the city lie the Waitakere ranges, forest meeting beach. City spilling out into rural countryside most akin to being dropped in the welsh countryside. We planned to do some “tramping” kiwi style but with the coastal path proving too blustery we walked further inland amongst tall trees and dense forest. There was plenty of scrambling, waterfall hunting and following abandoned train lines to make this afternoon an adventure. 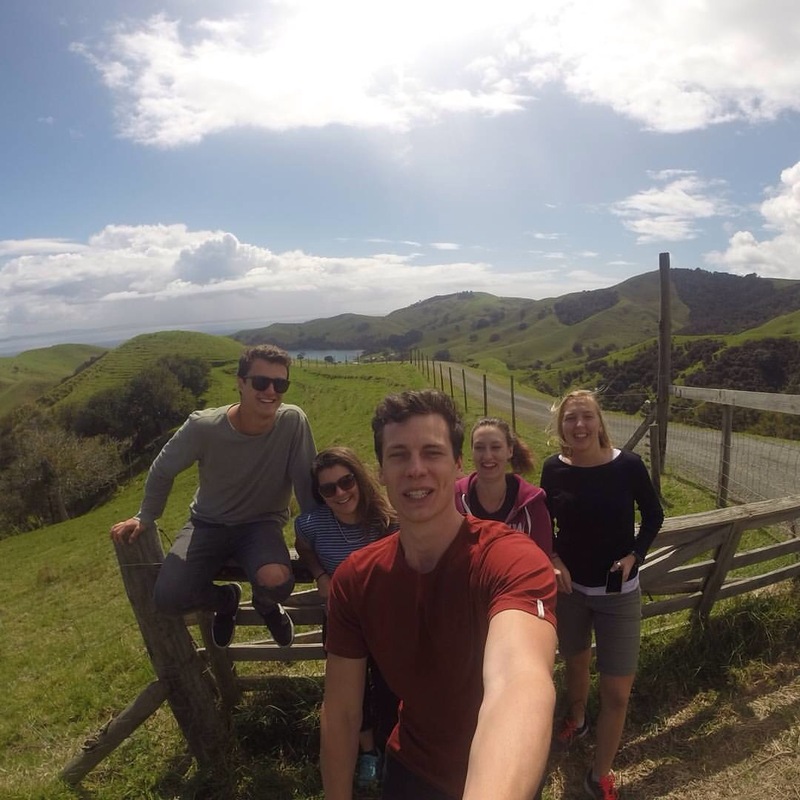 The coromandel peninsula is a picturesque mix of forest and beach, Wales meets Indonesia. Ricky, Hayley, Alice, Chris and I set off for a weekend jaunt in Auckland’s backyard. Like everywhere in a short distance of Auckland, the towns live for the weekends and holidays where people bring their boats and enough beer to last them and head for their baches (holiday homes.) 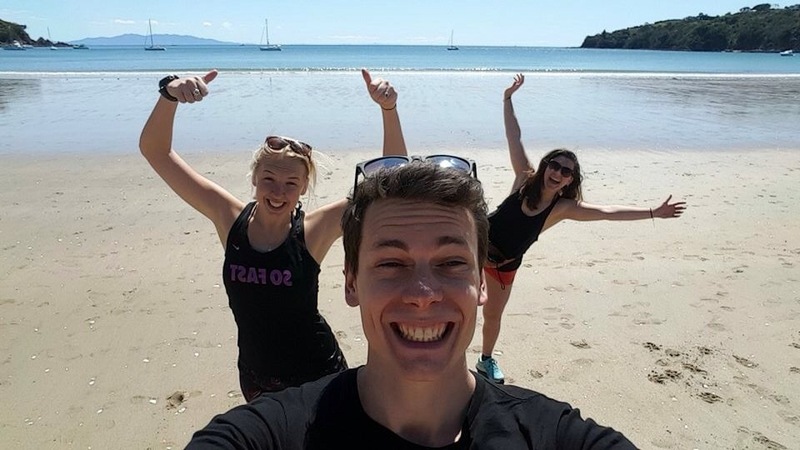 We explored the rugged coastline, the winding roads and stayed in gorgeous Whitianga with a view which made it worth the early morning wake up call to watch the sunrise over the ocean. Auckland’s north shore is equal parts the city, and another world entirely. Here beautiful beaches and laid back lifestyle remove you far from the CBD. I mostly experienced the beautiful coastline whilst running in the Northshore half marathon and Devonport 25k. The sparkling water and striking skyline were a welcome distraction from runners tedium. 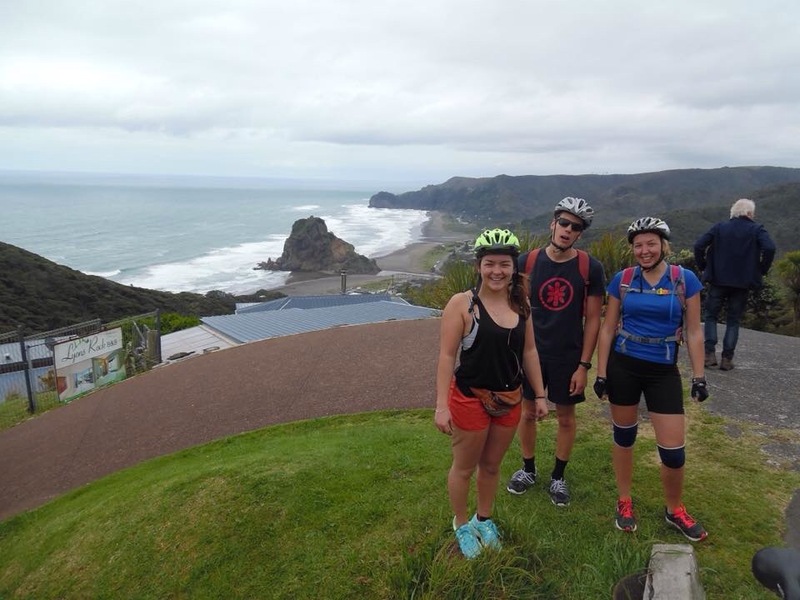 More to the point- biking to Piha beach. About 40km from Auckland central, Piha is the black sand beach on the Wild West coast. Waves as featured on Piha rescue. The idea was a training ride, the reality that we completed it with only 1 week until lift off on the big trip. The gargantuan hills were a trial by fire, but hey, the downhill stretches were fun and we had a great support crew! With the winter season drawing to a close, the pressure was on to hit the slopes. 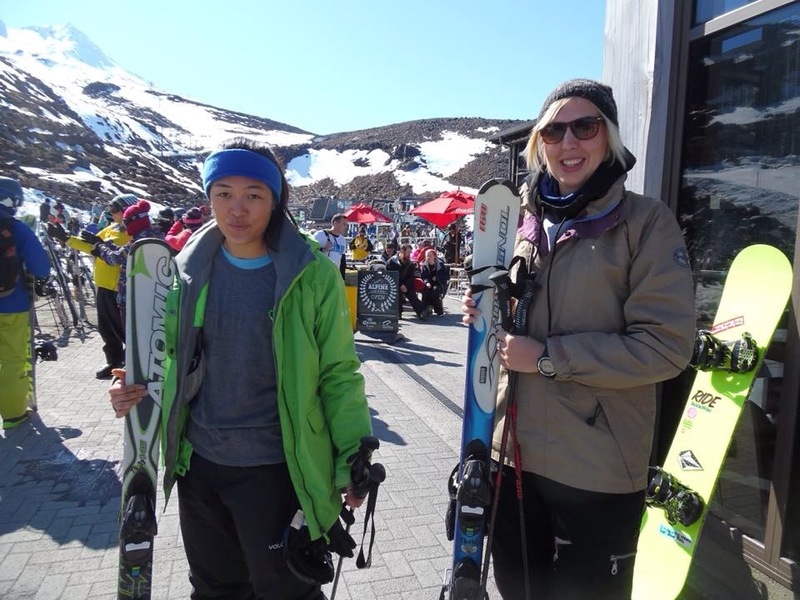 We visited Mt Ruapehu, the Turoa skiing region. With the end of the season approaching the slopes were quiet, the queues short but the snow still nearly perfect. Our little chalet was a perfect base for a weekend of YouTube videos, board games and champagne. It was surreal to be in shorts and t shirts barely 15 mins drive from the slopes and I achieved a sunburn to mark the changing seasons. Finally in honour of my last night in the city we hit the town for a night of dancing and too much Petrone. 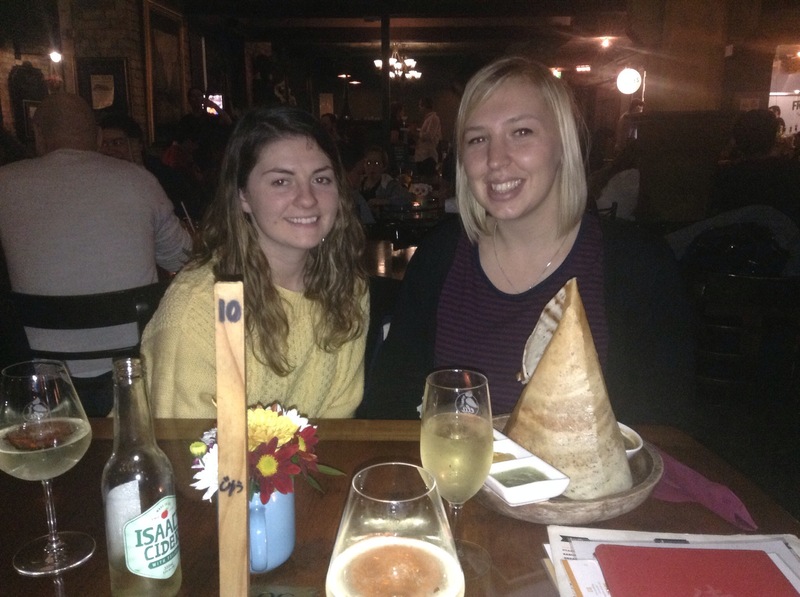 The night started well with champagne, in mugs to make sure we maintained the balance of class and backpacker-esque. Ponsonby played host to a fun night, but the highlight may well have been the late night singalong at the burger shop.